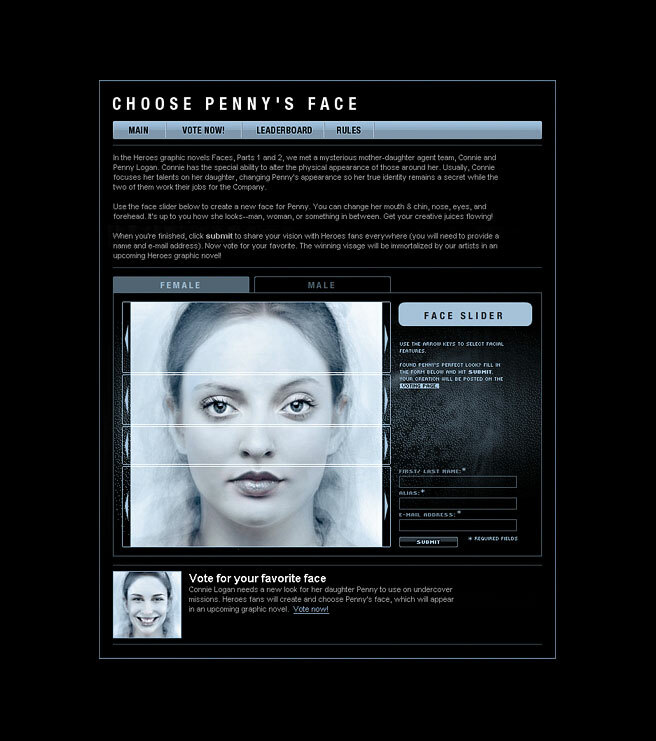 The "faceslider" feature on the Heroes site asked fans to come up with their own creation of agent Penny Logan's face. Penny's mother Connie has the ability to change people's physical appearance, usually she uses her talent on Penny. This feature allowed fans to get creative, the winning face was used (as an artist rendering) in one of the Heroes graphic novels.